Suzanne Krasna, CFP®, brings over 35 years of expertise in comprehensive financial planning and advisory services for individuals, families and independent women in transition. Suzanne earned her CERTIFIED FINANCIALPLANNERTM mark in 1990. Specializing in full service Financial Planning and Wealth Management Services. Suzanne brings investment analysis, portfolio design and ongoing management. Suzanne focuses on educating, coaching, empowering, and enabling her clients to implement strategies for their financial wellbeing. 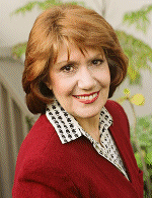 Written commentary and articles have quoted Suzanne over the years including the Variety, Los Angeles Times, Wall Street Journal, and Contra Costa Times. Speaking for numerous organizations through the years, she brings humor, clarity and expertise for all types of groups. Corporate audiences include: Lawrence Livermore Labs, Lee Hecht Harrison, Burton Valley, and the Women’s Network of Contra Costa County, IMA, Rotary Clubs etc. Dedicating time to help community organizations, Suzanne volunteers for Junior Achievement's local school programs and over the last several years participated in 'Financial Planning Week' - a free venue for people to have an opportunity to talk one on one with CERTIFIED FINANCIAL PLANNERTM professionals offered through the East Bay Financial Planning Association and region. “Our mission is to help advance ‘financial IQ’ for everyone no matter what economic situation. In her free time, Suzanne appreciates nature walks, the arts, theatre, film, good wine, travel, great food and quality time with friends and family.